Bionic eyes have long been a staple in science fiction, but now they are well on their way to becoming a reality. In a major breakthrough, a team of researchers from the University of Minnesota has successfully 3D printed an optoelectronic eye for the first time. 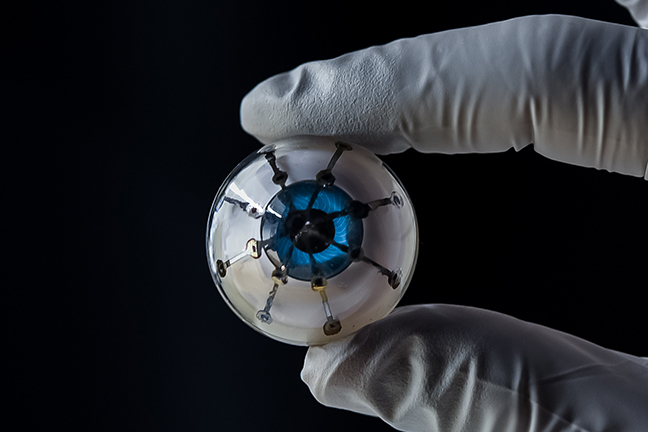 To create the bionic eye, the researchers started with printing a hemispherical glass dome using a custom-built 3D printer with a base ink of silver particles. This ink stayed in place and dried uniformly for printing “photodiodes” — semiconductors to convert light into electricity. But the team found that the 3D-printed photodiodes could convert light into electricity with only a 25 percent efficiency. Now, the researchers are working on creating a prototype with light receptors that are more efficient. They are also working to find a way to print on a soft hemispherical material that can be implanted into a real eye. Safest Car In The World Becomes A Fireball! See What Happened.